People with Turkish roots living in Germany should show a “high level of loyalty” toward their adopted country, according to Chancellor Angela Merkel. It comes amid tense relations between Berlin and Ankara. 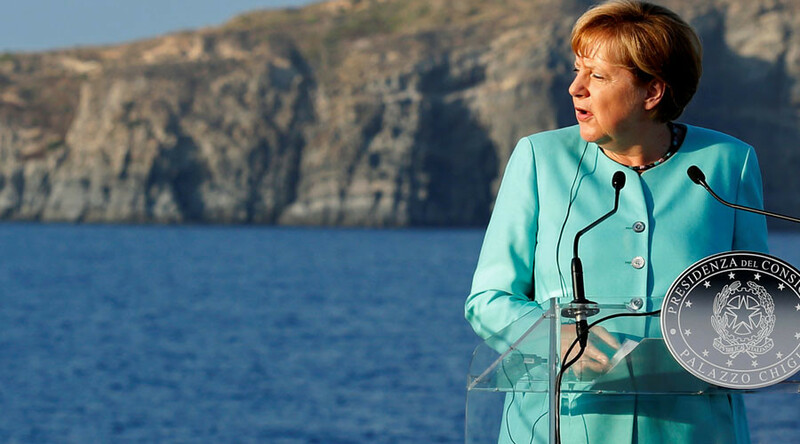 "We expect that people of Turkish origin who have been living in Germany for a long time should develop a high level of loyalty to our nation," Merkel told Ruhr Nachrichten newspaper in an interview published on Tuesday. "Therefore we are trying to have open ears to hear their concerns and to understand them. And for this we are also keeping in close contact with immigrant associations,” she continued. The German chancellor also spoke of the current situation in Turkey, where President Recep Tayyip Erdogan is cracking down on those believed to have played a role in last month's failed coup attempt. "Freedom of opinion and to demonstrate are meant for everyone who lives here in Germany, but of course everyone must peacefully express their differences of opinion," Merkel said. Germany has seen mass pro-Erdogan rallies since the failed coup in July. However, relations between Berlin and Ankara were soured following a demonstration in Cologne last month, when German officials denied Erdogan the chance to speak to tens of thousands of his supporters via video link. Meanwhile, a report on German television last week cited a leaked internal document in which Berlin reportedly accused Ankara of breeding radical Islam in the Middle East. The two countries also clashed in June, when the German parliament voted to approve a symbolic resolution that declares the 1915 massacre of Armenians by Ottoman Turkish forces a ‘genocide.’ In response, Turkey recalled its ambassador to Germany in protest and vowed to take retaliatory measures. Merkel is attempting to remain friendly with Turkey, however, particularly as the EU is relying on Ankara to fulfill its end of a landmark migrant deal agreed earlier this year. Turkey has repeatedly threatened to walk away from the deal unless visa-free travel is granted for its citizens traveling to the EU. Speaking to German media last week, Merkel stressed the “special connection” between Germany and Turkey. “What makes the German-Turkish relationship special is that more than 3 million people of Turkish origin live in Germany,” she said. Turkish people form the largest ethnic minority in Germany, representing the second-largest Turkish population in world, after Turkey.